1Not available with special financing, lease and some other offers. See dealer for details. 2Prices do not include government fees which include tax, tag, title and WRA (Warranty Rights Act) fees. All prices, specifications and availability subject to change without notice. Price plus dealer administration fee. Includes all GM & Dealer Rebates. Price includes a Conquest Bonus, must own a 2005 or newer non-GM vehicle to get posted sale prices. See Dealer for all current information. 3Not available with special financing, lease and some other offers. See dealer for details. 4Excludes base models. Monthly payment is $16.67 for every $1,000 you finance. Example down payment: 19.9%. Must finance with GM Financial. Some customers may not qualify. Not available with lease and some other offers. Take new retail delivery by 4/30/2019. See dealer for details. The Chevrolet Colorado is a reliable mid-size pickup with a good amount of power. This pickup can tow up to 7,700lbs., meaning it can manage any tough job with ease. Ellijay drivers, you can stay connected and also enjoy a comfortable ride with built-in Wi-Fi, and a cabin designed for minimal noise and vibration. It also has good fuel economy for a truck, saving you at the pump. 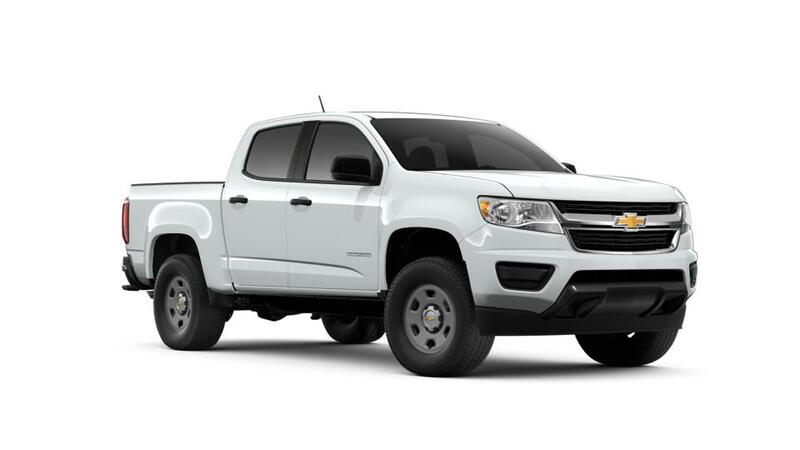 Search our inventory of new Chevrolet Colorado models in Jasper to determine the color and trim you require. Contact us at (877) 641-0949, or drop by our dealership, Day's Chevrolet of Jasper, to know more.